The third novel in A Song of Ice and Fire, I feel this is the novel where “the plot thickens”. I say this because unlike when I read both A Game of Thrones or A Clash of Kings, I didn’t had to refer to any online wikis to understand the setting or plot of the story. In A Storm of Swords, the story is now getting so complex that I had to refer to the online wiki so I can easily find out who’s who and geography of the world. Thus said, all books do include maps and basic Houses and character information. 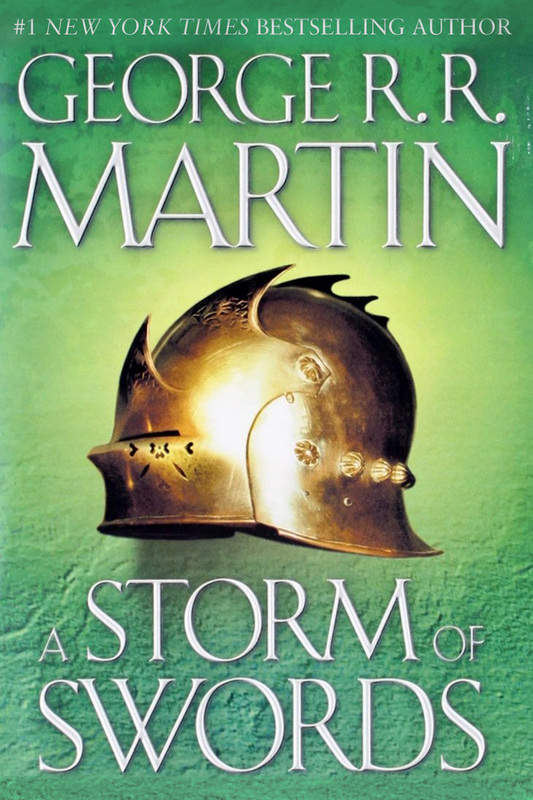 Character development is a major and focal point in A Storm of Swords. Which I think character development is where George R.R. Martin shines above any other fantasy author that I’ve read. If I hate a character, that means the author is doing a n excellent job telling the story! In this book, on top of hating certain characters, also other characters that I disliked from the first two books (not quite hated or cared for them), I ended up doing a 180 turn and started to like them in this novel. After finishing reading A Storm of Swords, I’m finally starting to see the premise of A Song of Ice and Fire, the tale. Which was one of my biggest complains when reading the first novel in the series, A Game of Thrones. I must say, I love it.